In-Inspector Variants Editor: create variations in just a few clicks, without going through the Particle System properties! 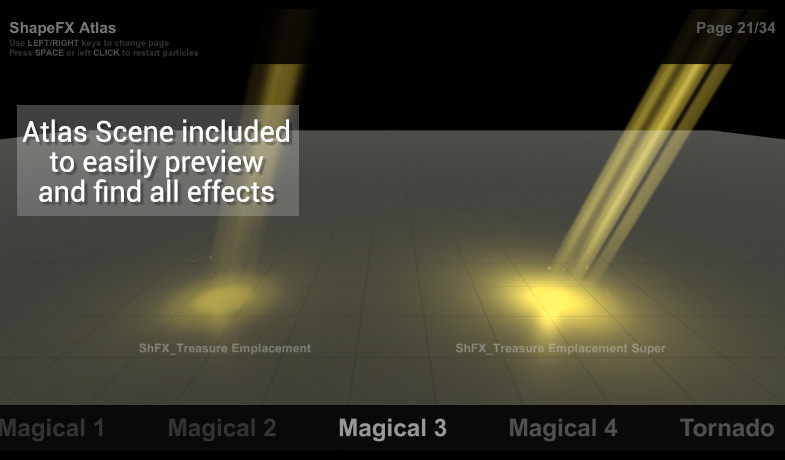 Mobile-friendly atlas option: makes all effects use the same texture! 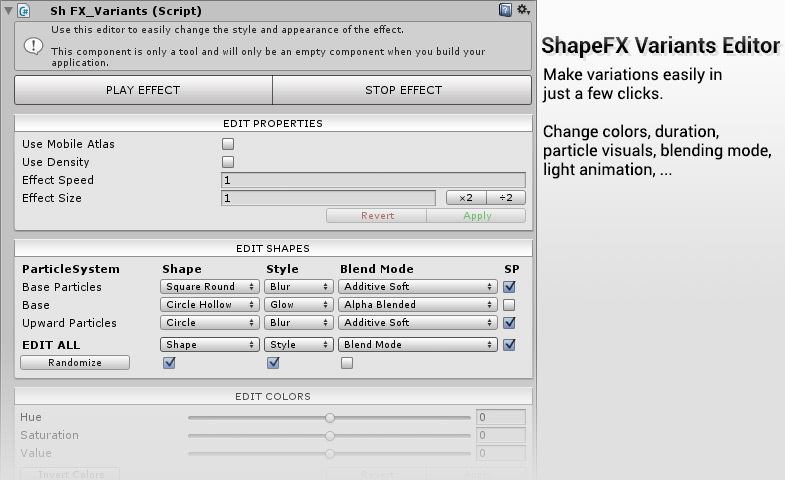 Take a look at the documentation to learn more about ShapeFX! 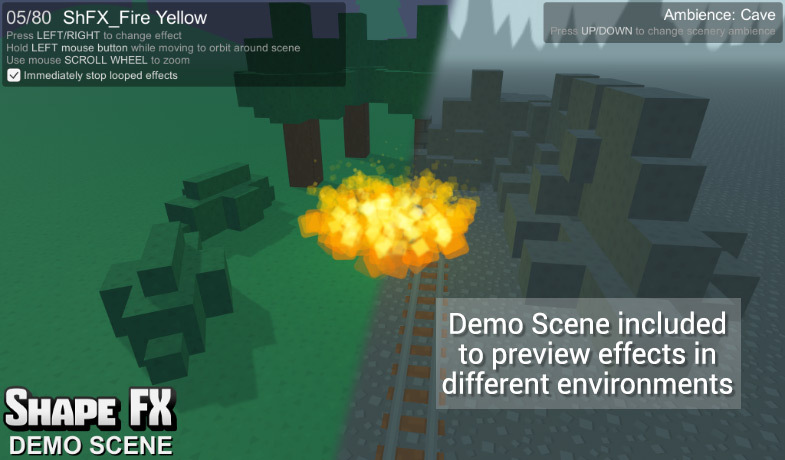 Make sure that the Unity webplayer plugin is installed and enabled to view the demo! You can also try the WebGL version if your browser doesn't support the Unity WebPlayer.